Myles has written 35 crossword and puzzle books and calendars for Canadian and US publishers over the past 8 years. Publishers and distributors include: Simon & Schuster, Barnes and Noble, Costco, Walmart, Target, Amazon, Books a Million and many more. 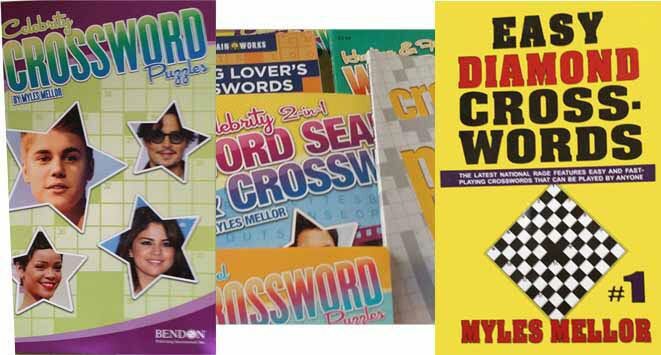 Myles offers high quality crosswords, word searches, sudokus, cryptograms, coded puzzles, Sunday and jumbo size crosswords to book publishers and mobile developers at low cost. Myles has a large inventory of 1000’s of crosswords and puzzles of all kinds under his copyright, available for syndication or custom publication. If you need crossword or puzzle content for book publications or for mobile apps, please contact Myles here.